The milling and paving of Cherry Street was done several years ago in New Canaan. NEW CANAAN — Three New Canaan roads originally slated for repaving will have to wait a little longer. The Board of Selectmen approved on Tuesday a request to amend a paving contract for $661,413 with F.G.B. Construction that would have resulted in the repaving of 237,952 square feet of road along Springwater Lane, Adams Lane and Hillcrest Road. 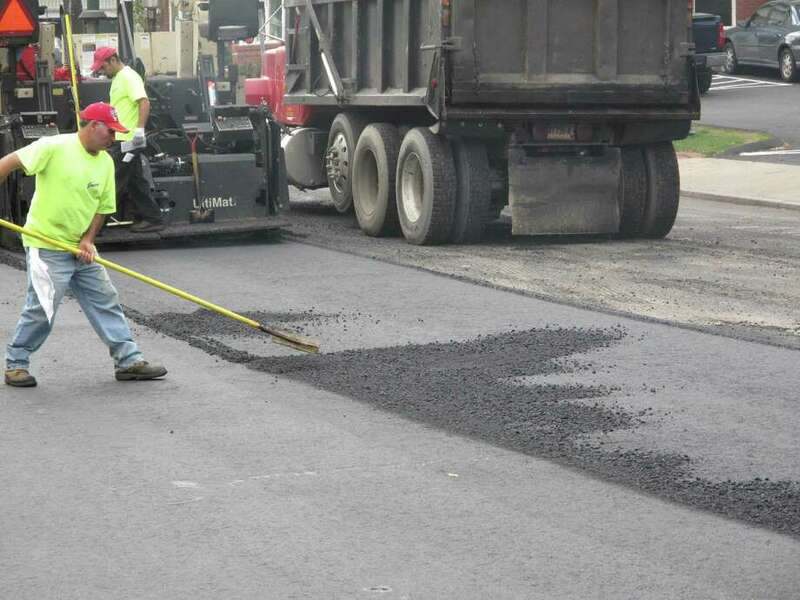 Instead, 231,686 square feet of road in several stretches along Ponus Ridge — including the road from Trinity Pass to Lost District, from Dans Highway to Clearview Lane, and from Bartling Road to Frogtown Road — as well White Birch Road will be repaved. Plans to repave the original set of roads were delayed because in earlier talks with Eversource about bringing natural gas to New Canaan, the energy provided those roads as its preferred route for a pipeline. Rather than paving roads that might soon be torn up, town officials deferred. “We had held off on doing these sets of roads — Adams, Springwater and Hillcrest — for quite a long time while we had been originally been discussing with Eversource, or Yankee Gas at the time, because this had been one of their proposed routes,” explained Director of Public Works Tiger Mann. That round of talks, however, failed to bring natural gas to town. But, discussions with Eversource have begun anew, and First Selectman Robert Mallozzi III said that in private conversations, Eversource has expressed a desire to bring natural gas to New Canaan along the same route by August 2018, further delaying the paving of the three roads. Instead, Mann said he worked to develop a similar paving plan elsewhere in town with the contractor. “We tried to find a set of roads that would actually kind of mirror that,” Mann said. The amendment to the paving project will be welcome news for residents on Ponus Ridge and White Birch Road, but Selectman Nick Williams acknowledged that the patience of those living along the proposed natural gas route may be wearing thin. “If I’m a resident of Springwater or Adams or Hillcreast, the natural question is… what are we thinking about timing? Because these folks have waited once before, and now they’re going to be asked to wait once again,” Williams said. Paving is scheduled to begin within a few weeks, officials say.